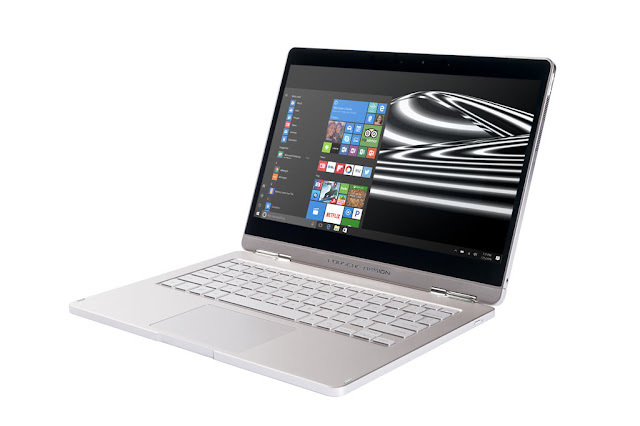 Today at Mobile World Congress, Porsche Design announced the launch of its new premium 2-in-1 convertible and detachable – the Porsche Design BOOK ONE with Windows 10 Pro. The Porsche Design BOOK ONE is built to enable the best of Windows 10 Pro. Both the touch display and the Precision Touchpad for Windows 10 Pro use high-precision, multi-gesture control interfaces. The digital stylus input function is optimized for use with Windows Ink, so you can easily draw and take notes on the touchscreen, or draw on websites in Microsoft Edge. Tablet Mode in Windows 10 Pro delivers a smooth, touch-first experience, perfect for this 2-in-1; your apps will scale smoothly, and onscreen features will adapt for easy navigation.